W. Todd Kaneko is the author of The Dead Wrestler Elegies (Curbside Splendor 2014) and co-author with Amorak Huey of Poetry: A Writers' Guide and Anthology (Bloomsbury Academic 2018). His poems and prose have appeared in The Normal School, Barrelhouse, Gulf Coast, SmokeLong Quarterly, The Rumpus and many other places. 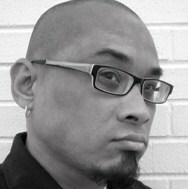 A Kundiman fellow, he is co-editor of Waxwing magazine and lives in Grand Rapids, Michigan where he is an Assistant Professor at Grand Valley State University. except for the messages he has left me. forever and life is the opposite of sickness. to visit him when he is feeling better. for cancer. Neither of us do. the animals headless on the beach. I thought I could see his chest rise. how to put it all back inside him. up, the back spin, the release. back to Seattle from the island. not the eater of souls. where your heart once glinted. and scatter them in the road. to one another from where they perch. at night when your son refuses to sleep. off his coast crying his name. and then they are invisible once more. where he is going before he is gone.